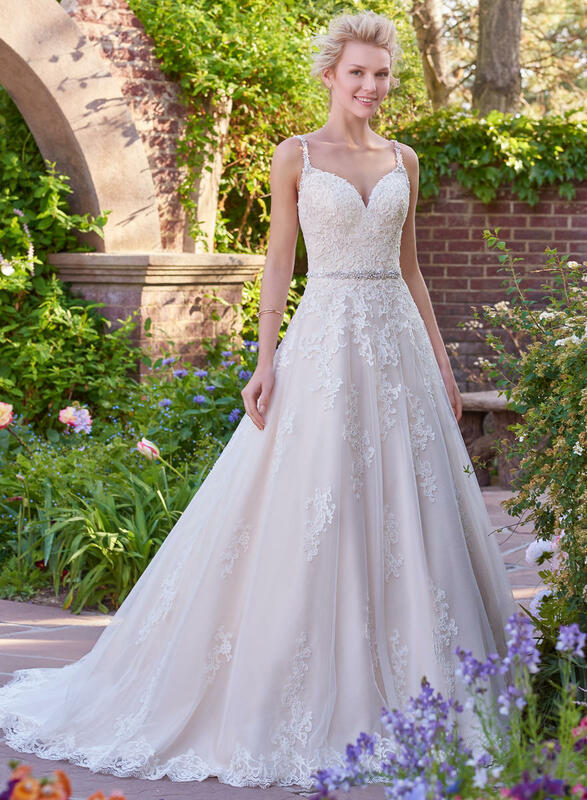 This gorgeous ballgown features a layer of lace appliqu�s over tulle. 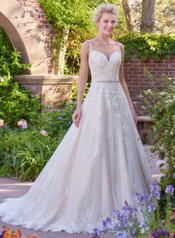 A V-neckline and open back with lace illusion trim add hints of alluring romance. Accented with Swarovski crystal belt and embellished straps. Finished with covered buttons and zipper closure.